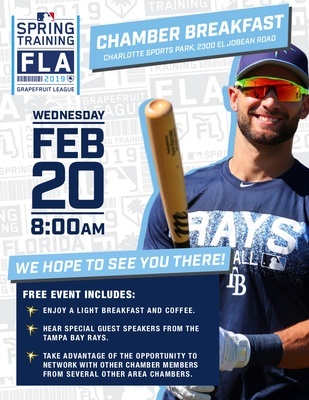 Multi-Chamber Breakfast Networking with the Tampa Bay Rays. Event will include special guest speakers from the Tampa Bay Rays. Includes light breakfast and coffee.